We love when couples take the chance to highlight their favorite Disney characters on their wedding cakes! It's a simple way to celebrate your unique interests as a couple and incorporate a little Disney magic on your big day. 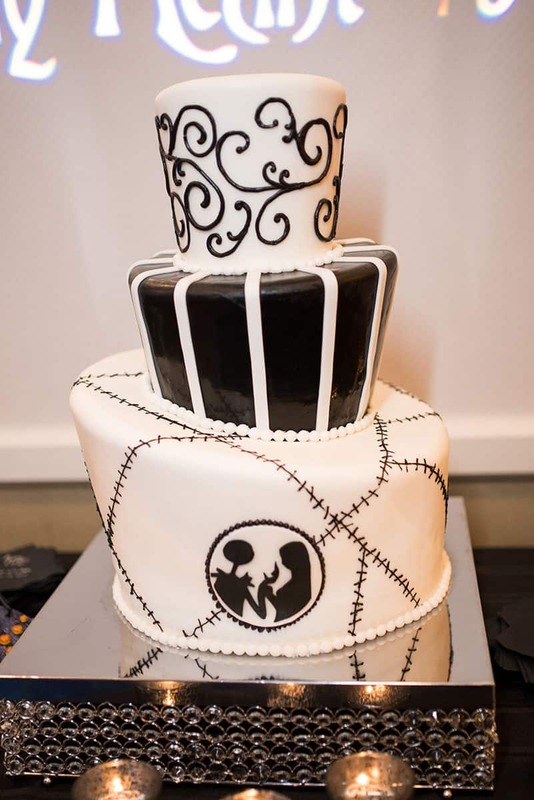 Take this "Nightmare Before Christmas" themed wedding cake for example. 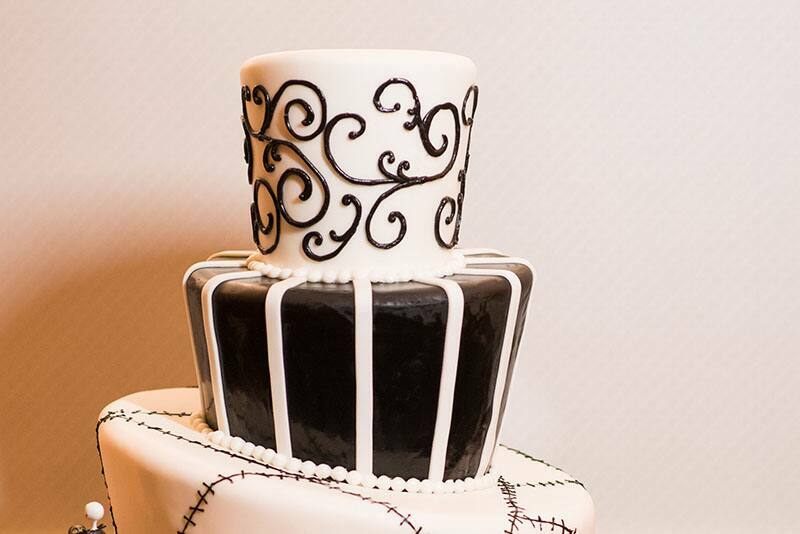 The elegant, black and white cake at first glance may be unassuming. But, with a closer look you will see the details that make it anything but ordinary. 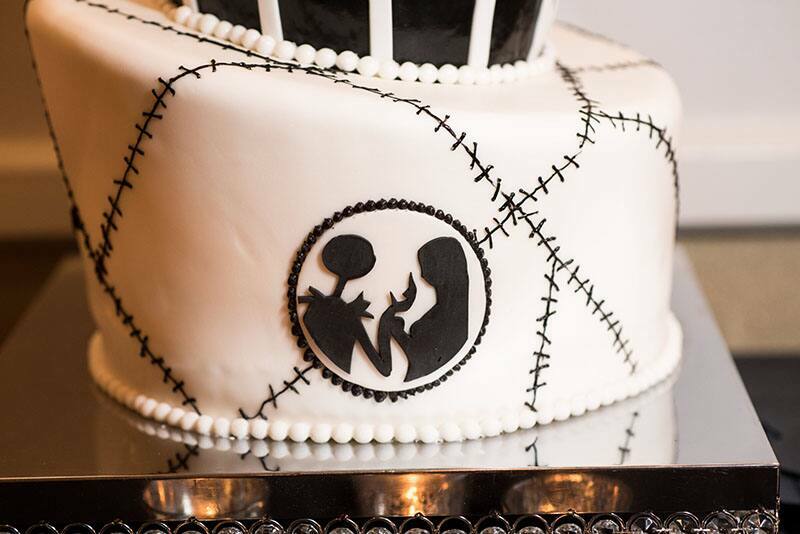 From the unique stitching effect, to the fondant character silhouette, this three tiered cake is a perfect example of how you can include your favorite Disney characters on your wedding day.